Engine oil or motor oil plays a key role in reducing the friction between the parts of a vehicle that move against each other. The oil forms a layer between the surfaces of adjacent moving parts, thereby minimizing the heat produced due to friction. 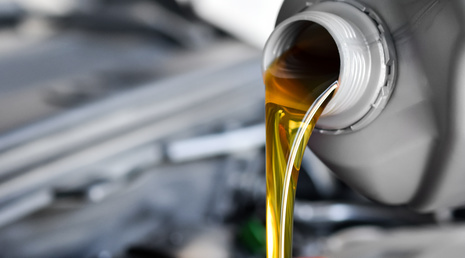 When it comes to choosing the right engine oil for your vehicle, there are several factors that you need to consider, such as oil viscosity and classification codes. To help, the post discusses several important factors, which will help you make an informed choice. To select an appropriate engine oil for your vehicle, look for the starburst symbol printed on the container. The symbol signifies that the composition of the oil is in compliance with the current engine protection standards and the fuel economy requirements outlined by of the American Petroleum Institute (API). Also, look for a two-character service standard of API “SL” printed on the container. Viscosity rating of an oil determines its resistance to the flow. There are two types of oil available on the market – single viscosity and multi-viscosity oil. If the oil container has two numbers, for example, 10W-40, it means that it is a multi-viscosity oil wherein 10W indicates oil flow at low temperatures (during winter) and 40 indicates the flow of oil at high temperatures. When selecting an engine oil, choose the viscosity rating suitable for the temperature in which you are going to drive your vehicle. Oil additives is another important factor that determines the utility of the engine oil. The additives help oil maintain good lubrication while minimizing the formation of sludge and varnish that can damage the engine. Some of the essential additives used in engine oil include viscosity-index improvers, detergents, dispersants, anti-wear agents, antioxidants, foam, and inhibitors, among other. As the oil make up for the 80 percent of a motor oil, it is important to choose the right oil base. Many car owners today, prefer synthetic oil over conventional motor oil, irrespective of their price tag. This is because chemically engineered molecules used in synthetic oil have more uniform properties than the molecules found in conventional oil.